Each summer season it is guaranteed we will have at least zucchinis’ that are left on the plant to grow HUGE! 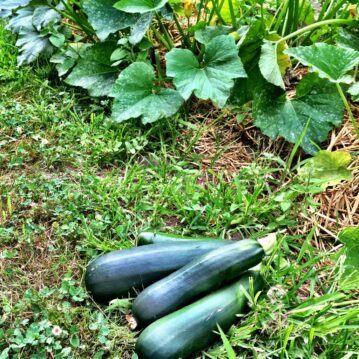 In todays post I share a few growing tips and my Garden Fresh and Easy to Make Zucchini Bread Recipe. This recipe has been in my family since my kids were little. 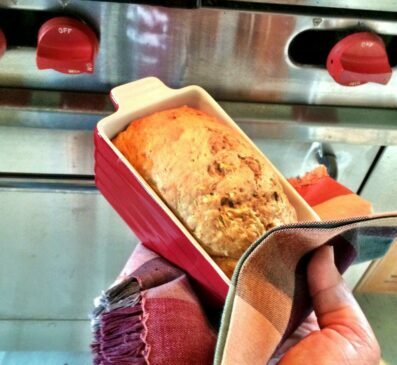 I first made the bread from a Southern Living recipe and later created my own version. you can use this recipe as muffin batter too but I prefer the loaves. Don’t forget to click on the printable recipe! 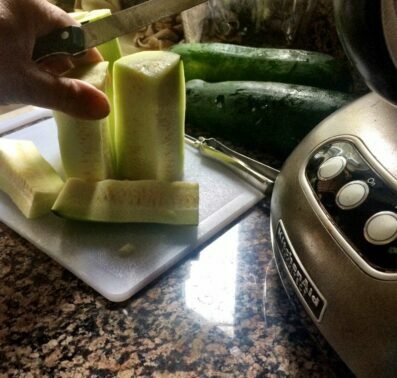 Zucchini must be strained after shredded. Mix together ( only a few mixes do not beat). 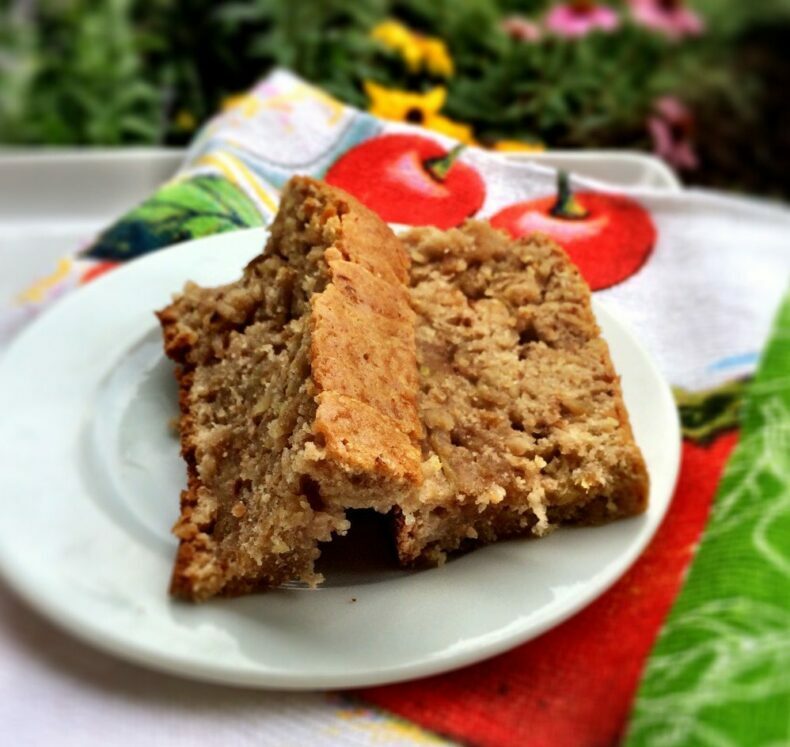 I bake 12 large loaves of Zucchini Bread to be frozen to be eaten later is easy with this recipe. I print up this QR code that goes to my website allows friends to scan on their mobile and try the recipe for themselves. These make great gifts to give during the holiday season. You know me and the camera – gotta take a few photos to show you how easy it really is! Fresh Out of The Oven …. .What Could Be Better? I used my KitchenAid to shred the zucchini for this recipe. Start your seeds at least 6 weeks before the last frost. 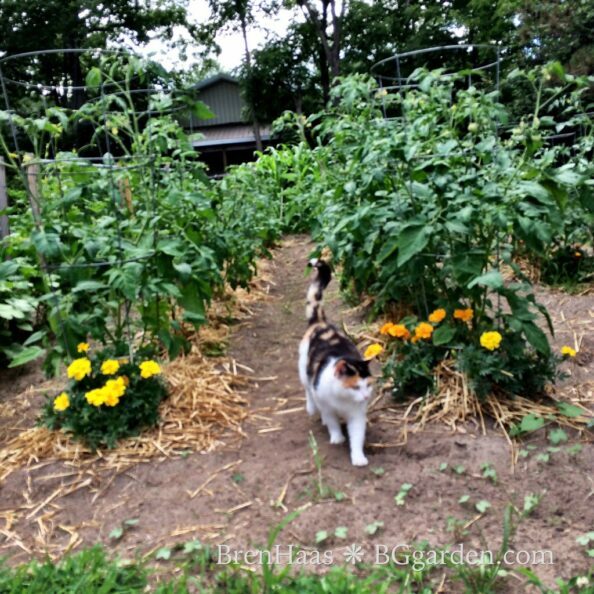 Be sure to add beneficial annuals that will attract pollinators to the veggie garden. Plant at least 3 plants on a mound in the garden leaving room for leaves to not be disturbed. 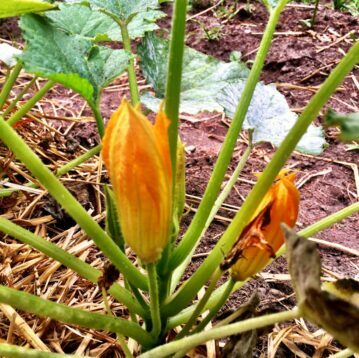 Carefully harvest the veggies – the steam/stalk of the plant is very delicate. 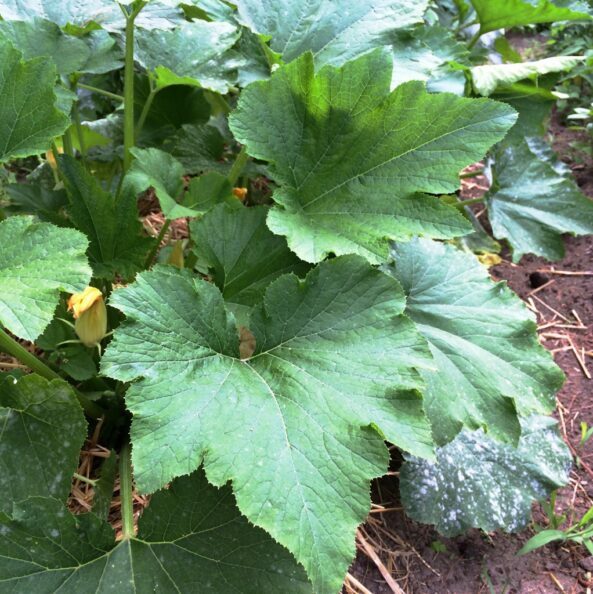 Watch for mildew and treat as soon as spotted. Researcher shows that milk sprays can help prevent powdery mildew on tomato, barley, and zucchini. Add straw around the base of the plant to help hold in the moisture and keep out weeds. 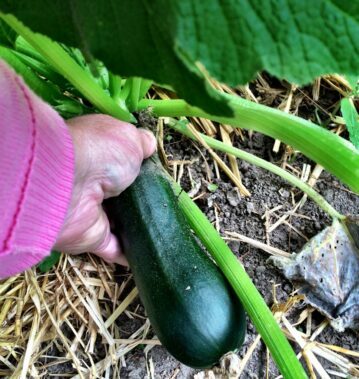 I’d love to hear from you … what do you cook up with your zucchini harvest? Be sure to connect with me on my contact page that I answer daily. Wish I had a loaf right now, Bren! Looks perfect. Maybe I’ll plant some next year, if I feel then that I’m on top of things enough to not lose control of thevegetablethatgrowsbeforeyourveryeyes! HA … love it Jean ‘thevegetablethatgrowsbefreyourveryeyes’ – AWESOME! WEll, you can always visit the local farmers market and grab some zucchini this time of year. If you lived closer I would gladly give you some of mine. Your photos and tips are excellent! I love zucchini in every form, and from the garden is the best – so fun to peek under a leaf and find a huge one that you’ve missed for a week. One of my favorite recipes that I’ve tweaked over the years is for zucchini brownies; my family now prefers them to standard ones. Eating brownies with two cups of zucchini in them even feels healthy!